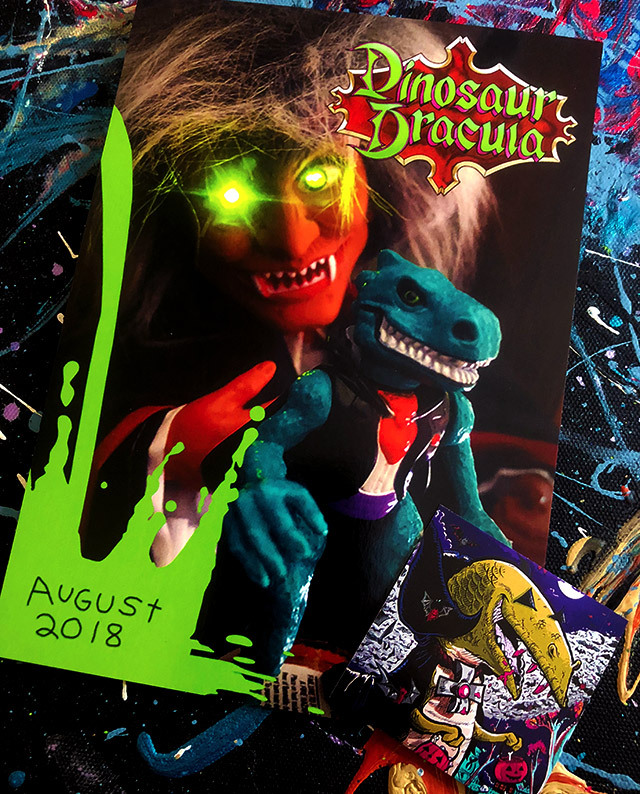 Dino Drac's August 2018 Funpack is here! | Dinosaur Dracula! 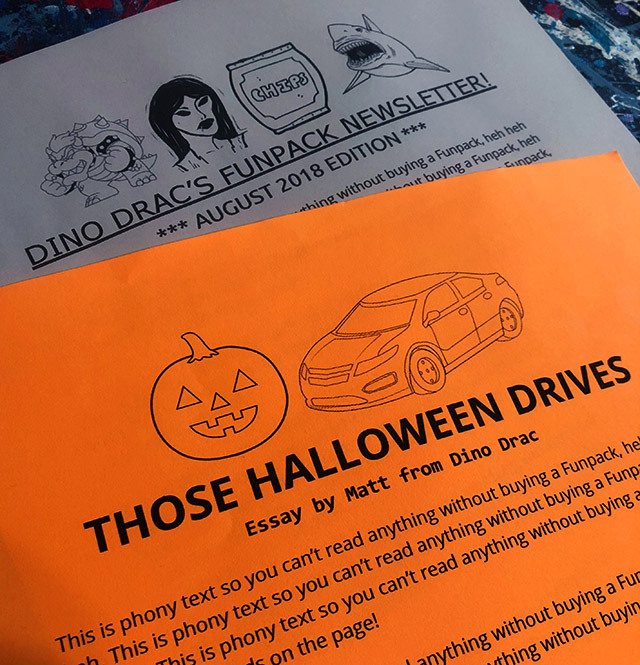 Dino Drac’s August 2018 Funpack is here! 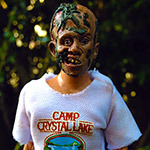 I’m finally ready to unveil Dino Drac’s August Funpack! Really digging this one, guys. Took some odd roads to gather the materials for ‘em, and I’m pretty happy with how things turned out. AVAILABLE FOR 3 DAYS! UNITED STATES ONLY! There’s a dash of Halloween in the mix, too, since you will be receiving these just around the time that the 2018 Halloween Countdown gets under way. On that note, being a subscriber now is the only way to guarantee yourself a seat for the September and October Funpacks, which traditionally sell out quick! …but I’m getting ahead of myself. Let’s talk about the August Funpack! 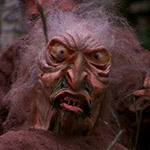 It’s basically the evil twin of last month’s box, with more than 10 items that’ll help you close the door on summer and embrace the spooky season in seamless fashion. Scroll to the bottom for more info, or keep reading to learn about EVERYTHING you’ll receive in this month’s box! 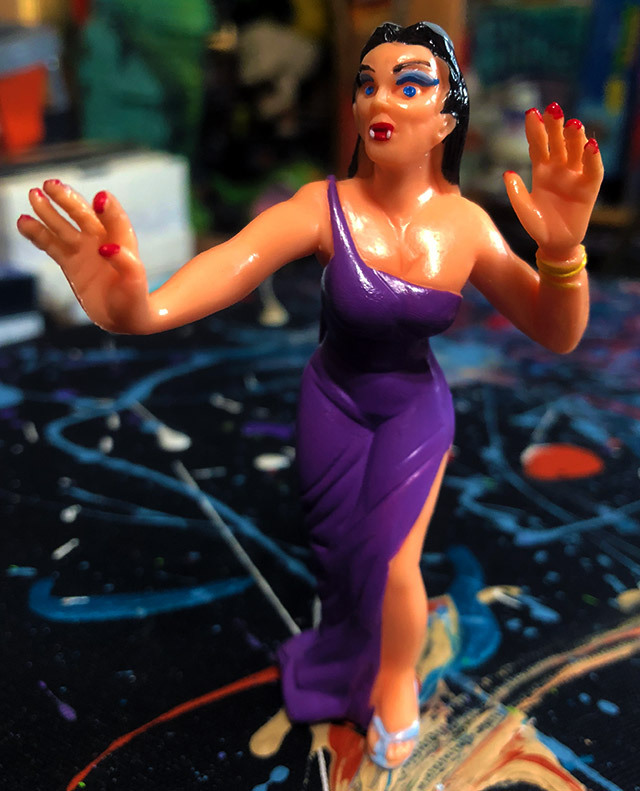 First up is yet another awesome Super Monstruos figure, made in Spain way back in 1992. 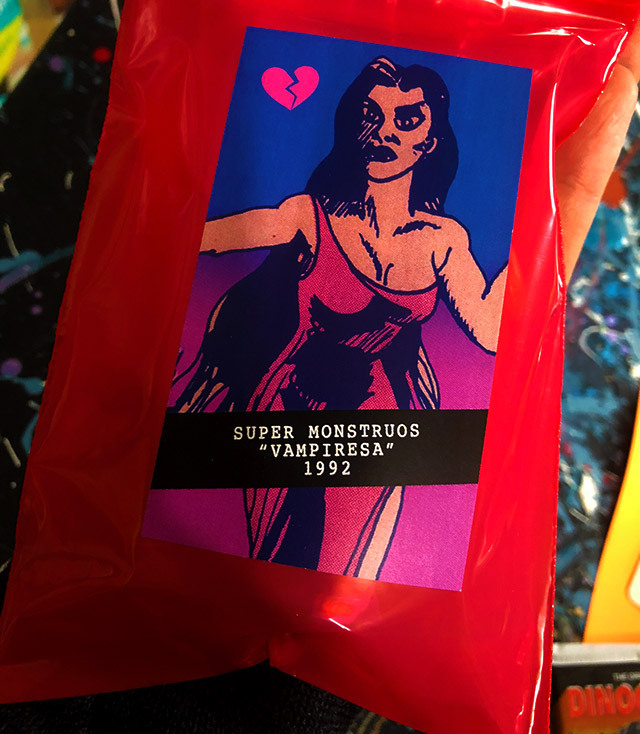 This month, you’ll be receiving Vampiresa, protected in her very own custom Dino Drac baggie! Oh man, here’s a big one. Remember when I reviewed those Jaws Ice Bars from South Korea? As it turns out, they also come in CHEWING GUM FORM. 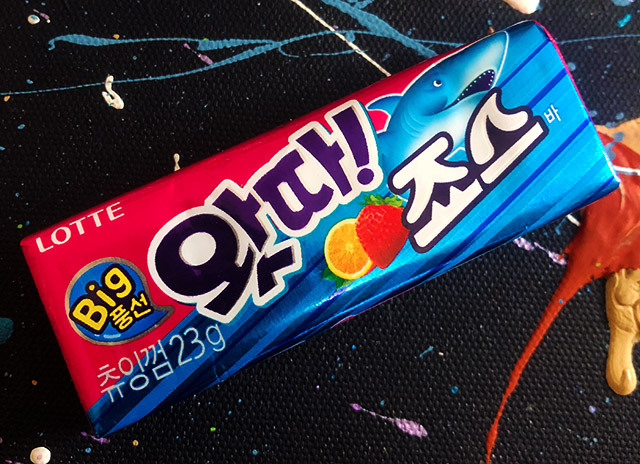 Yes, it’s official Jaws Ice Cream Bar CHEWING GUM, made by Lotte. You’re getting a whole pack, imported directly from South Korea. I don’t believe these are being sold anywhere in the States, currently. 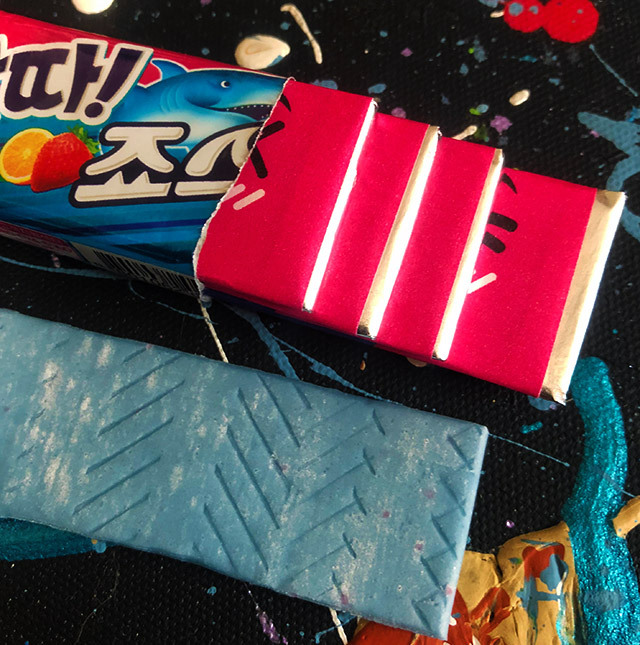 The gum is totally amazeballs and really does taste exactly like the frozen treats. The packs won’t expire until June 2019, so you’ll have a while to decide if these are for eating or displaying. 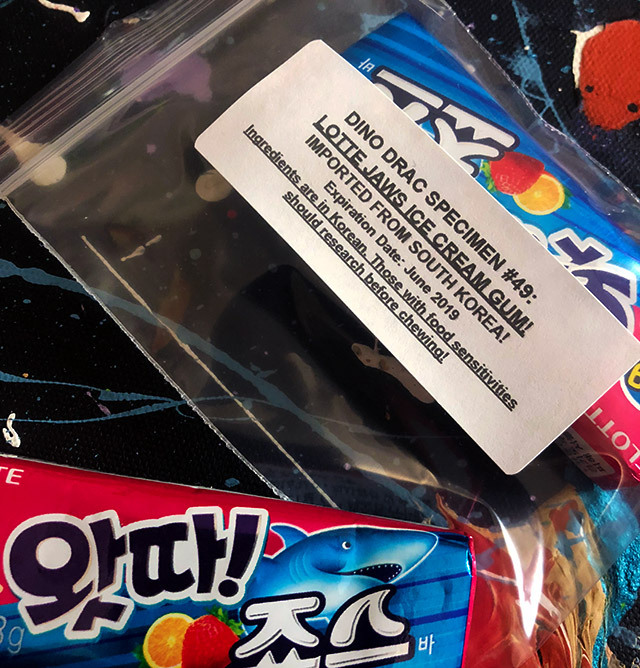 Please note that while the ingredients are listed on each pack, those ingredients are in Korean. I can’t read them. If you have any food allergies/sensitivities, I’d recommend doing some research before chewing. 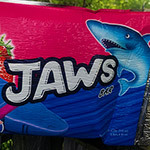 PS: The Jaws Ice Cream Gum doubles as this month’s Dino Drac Specimen — the first one that you’re actually supposed to eat! 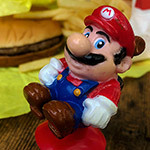 Last month I gave you two Super Mario Bros. movie buttons, and they seemed to go over really well. So what the hell, let’s do that again! 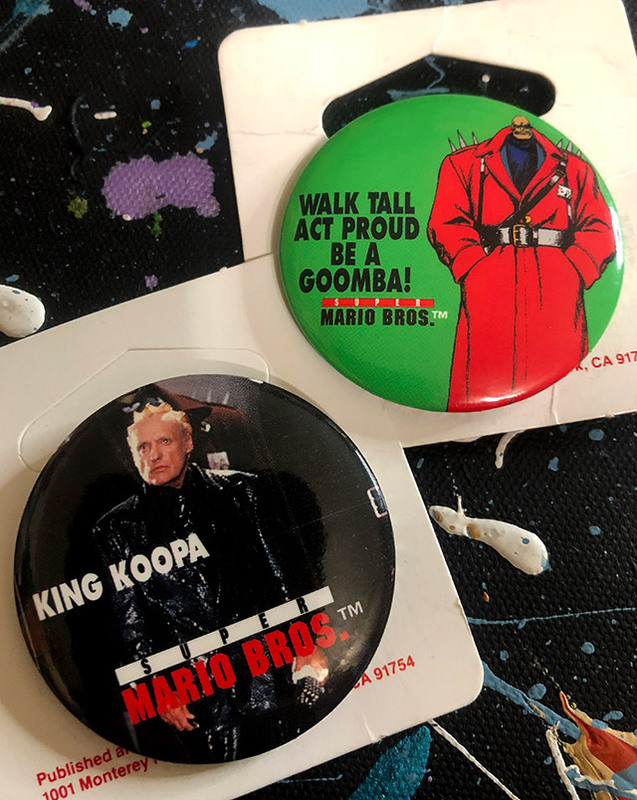 This month, you’re receiving another two Super Mario Bros. movie buttons, and this time, it’s all about the villains. I hope you’ll wear your new (old) King Koopa and Goomba buttons with pride. And yep, these are genuine 1993 originals, still attached to their cardboard backers. Backers may have creases and/or old price stickers, but the buttons are in gem mint condition, never worn and totally free of rust. …but wait, we’re not done with the vintage trading cards yet! 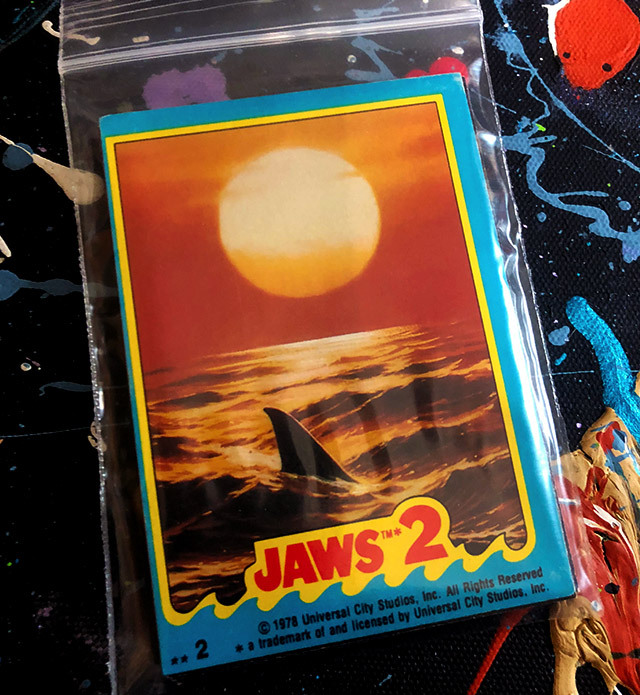 You’ll also receive a custom “pack” of Jaws 2 trading cards, from 1978! I’m personally assembling these bagged mixes. 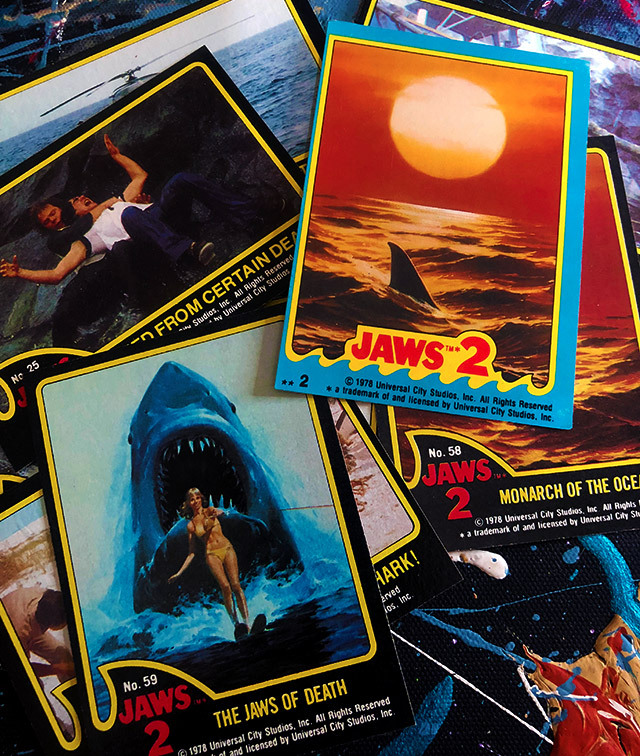 You’ll each receive eight different Jaws 2 cards, plus one sticker card. They’re all in great shape. It’s about as good as getting one of the vintage packs! Read the backs while you chew your Jaws Gum! 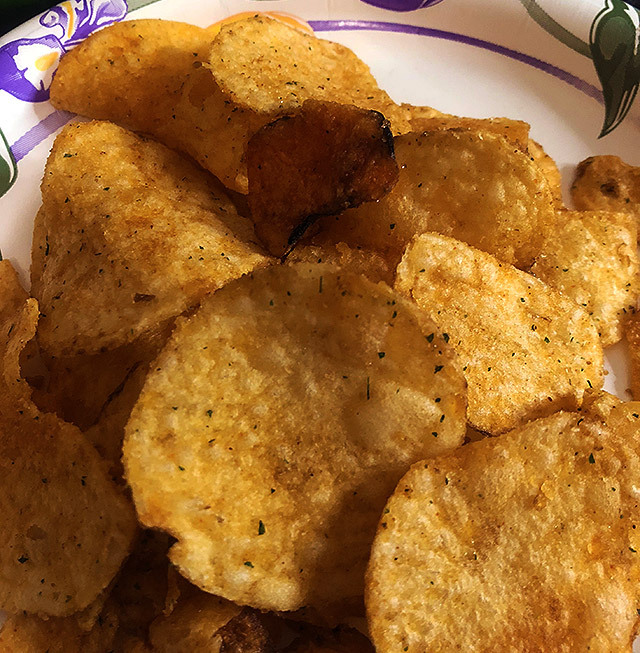 Last month’s bags of Kettle Chips seemed to be a hit, so I consulted with Mr. Kettle again to give you an entirely different flavor. 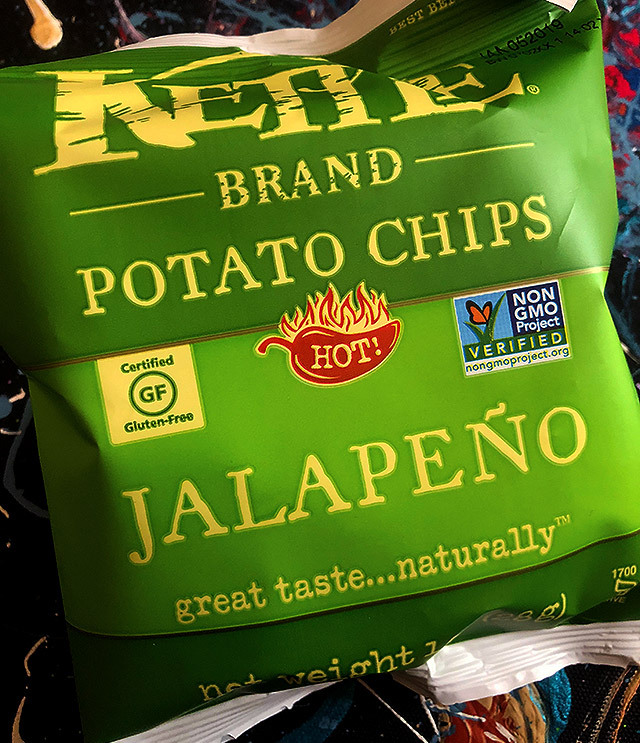 I think you’re going to love these single-serve bags of Kettle Jalapeno Potato Chips, which definitely pack a punch, but aren’t deathly spicy. They are deathly delicious though, so expect to plow through your bag in exactly four seconds. 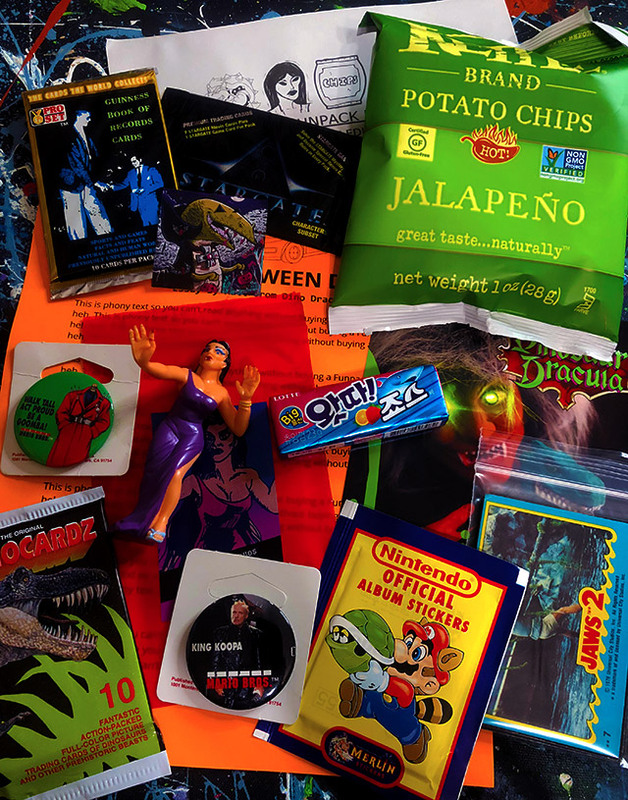 This month’s exclusive 5×7” Dino Drac Mini-Poster will help you usher in the Halloween season, while this month’s also-exclusive 2×2” Dino Drac sticker will help you do the exact same thing. Tack ‘em and stick ‘em wherever you need an unholy boost! 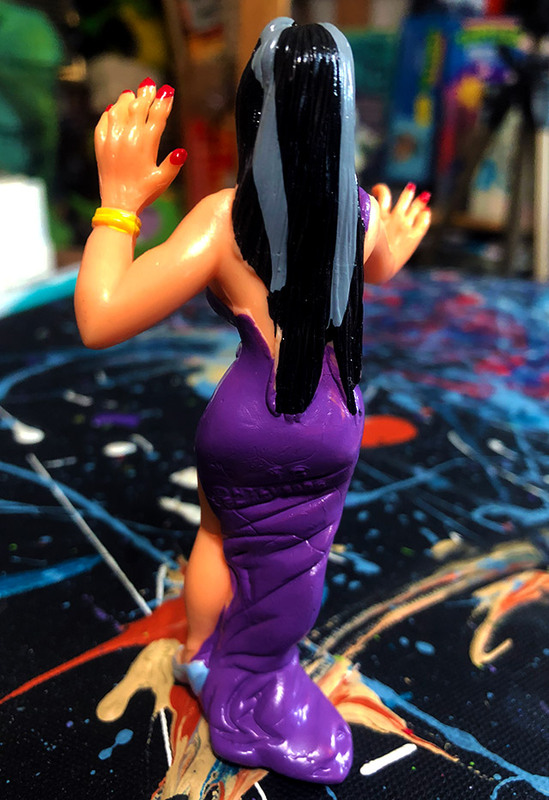 Rounding things out, you’ll also receive this month’s Funpack Newsletter, along with an exclusive essay that will never be reprinted on the site. This month’s essay is all about my casual drives during the Halloween season, and how they so often lead to subtly spooky adventures. 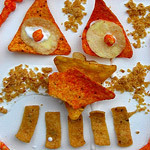 (And how even the drives that don’t still fill me with Halloween spirit.) It’s part diary entry, part how-to guide. 6. 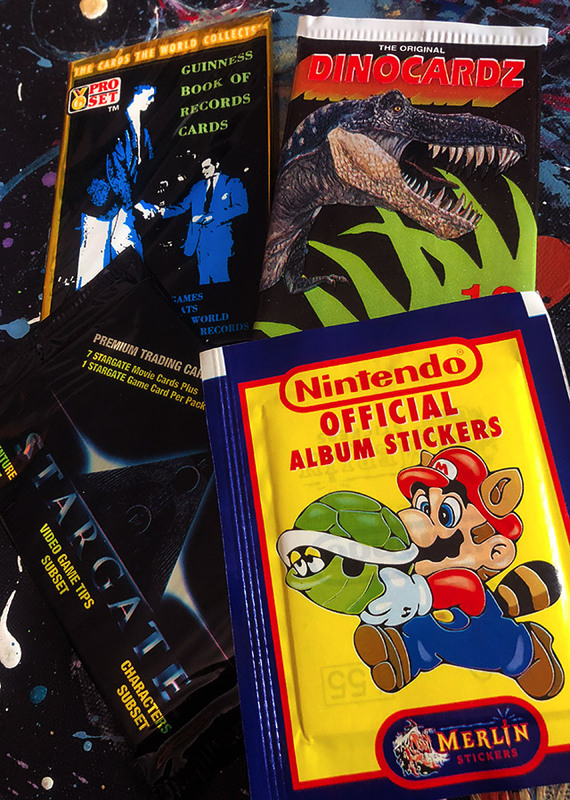 The August 2018 Funpacks will ship on or before Tuesday 8/21! 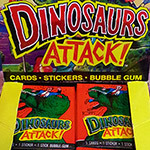 Dinosaur Dracula loves Dinosaurs Attack!